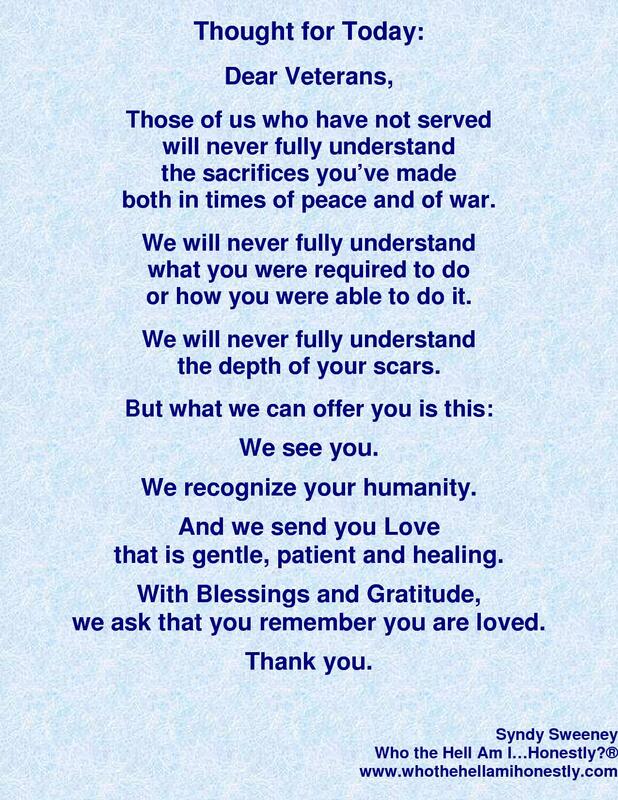 Image | This entry was posted in Holidays and tagged acceptance, healing, love, veterans, Veterans Day. Bookmark the permalink. Thank you, Jason, for your service and your poem. As a former military wife, let me say that you captured very well that particular feeling of deep loneliness and resigned incredible strength required to stand by one’s military spouse. I appreciate it very much.